Make It Monthly is back! Hope you all had a good October! Did you get up to much over Halloween/Bonfire Night? Let me know what you've been up to, and share all your creative endeavors! Maybe you made some gorgeous firework themed artwork, or perhaps you've started on creating a few delightful Christmassy items! I'd love to see! 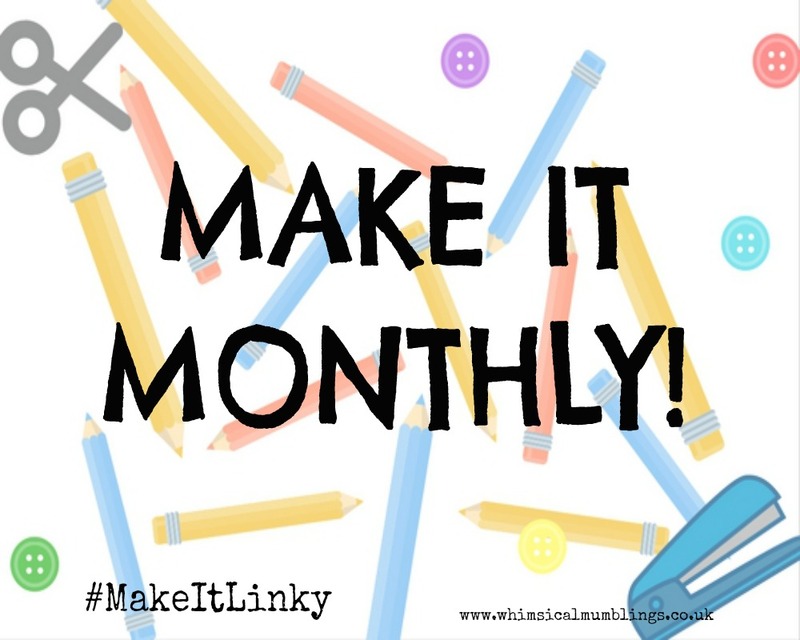 🎄🎄 Make It Monthly is a Craft/DIY themed linky, a place to share all of your wonderful creations! Whether it's home decor, gifts, seasonal decorations, crafts with children - anything! It's time to share those amazing creations! Thank you so much to everyone who linked up last month, my favourite post was this one from Little Fish, how absolutely adorable are these Acorn People? !